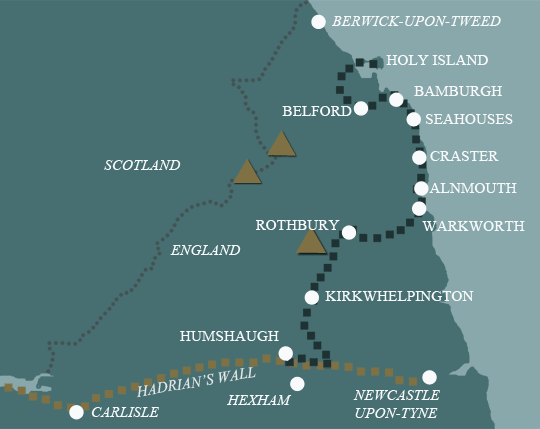 This walking holiday traces the footsteps of St Oswald, the Anglo Saxon King who played a significant role in the introduction of Christianity to England. 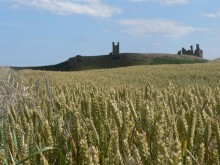 Covering a distance of 97 miles, St Oswald’s Way starts on the historic island of Lindisfarne. 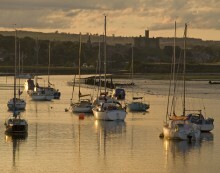 It follows the spectacular Northumberland coastline to Warkworth before heading inland along the beautiful River Coquet to the ancient town of Rothbury. From there it heads south over heather-clad moors, through forest and rolling countryside, finishing at the World Heritage Site of Hadrian’s Wall. St Oswald’s Way has everything: stunning coastal walking, wild expansive moorland, spectacular geology, quiet fishing villages and picturesque market towns. This walking holiday takes you through centuries of history, passing Neolithic rock art, Iron Age forts, Roman sites, medieval castles, imposing eighteenth century limekilns, and coastal defences from World War Two. It is a straightforward walk, with its highest point at just over 300m (990ft). 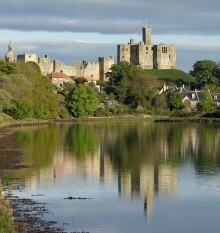 With a rich variety of birdlife, seals and dolphins, red squirrels, rare butterflies and plants, this walking holiday is the perfect one to choose if you want a taste of all the best bits of England’s best kept secret, Northumberland. We have had two holidays through Mickledore and everything has gone like clockwork. Information in advance, bookings and the holiday itself. Last year’s accommodations were superb, so I did not look up any of the accommodations we were booked at this year in advance. I fully trusted that you had picked high quality also this year, which was correct. Thank you for a well organised holiday! I found Mickledore very competent, information provided was very useful and the holiday was planned and executed meticulously. Well done!